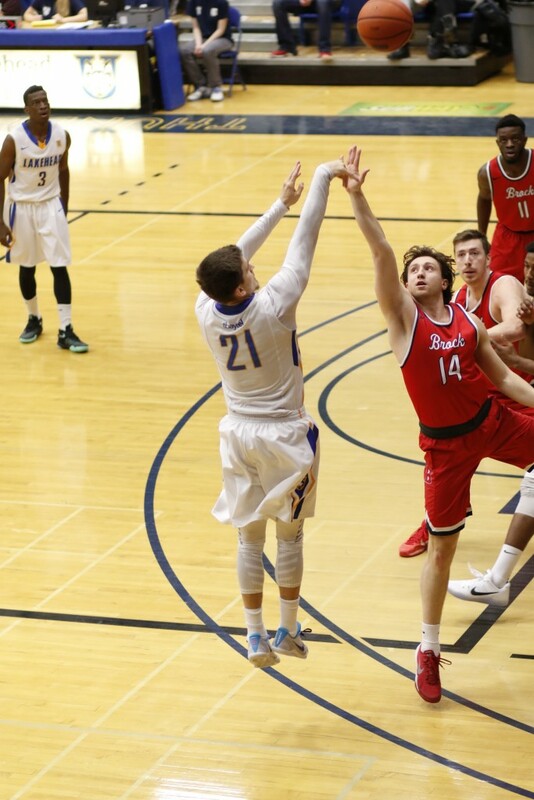 The Lakehead men’s basketball team (3-7) took down the #7 Brock Badgers (5-4) tonight 75-64. Both teams came out strong and ready to play in the first quarter tonight. Brock showed why they are one of the top teams in the leaque but the Thunderwolves were up for the challenge, never backing down. Lakehead finished the first quarter leading 19-18. Similar story for the second and third quarter as the ‘Wolves continued to battle with the Badgers. Brock gained a slight lead in both quarters but Lakehead did not give up and always continued to tie it back up. The Wolves were tied at the half 35-35. Down one 50-49, the fourth quarter is where the ‘Wolves really shined as they outscored Brock 26-14. Alex Robichaud and Henry Tan made some big shots that really sealed the win for the Thunderwolves. 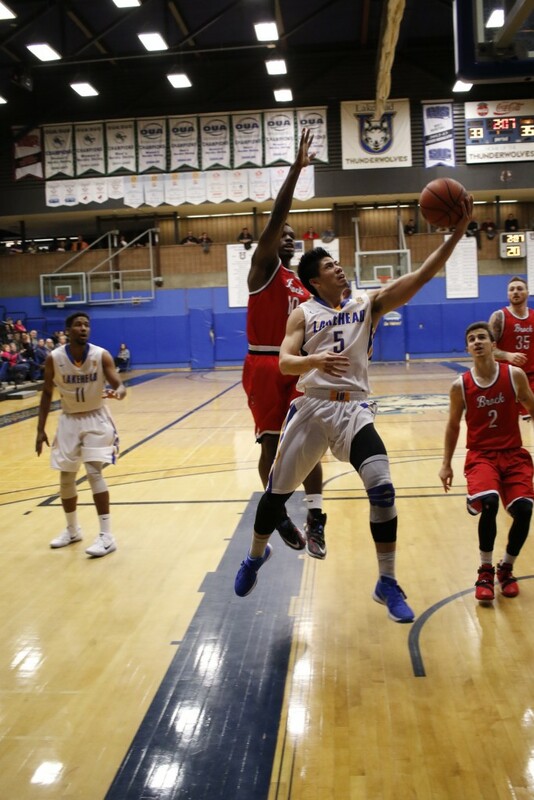 Henry Tan led the ‘Wolves with 21 points along side Alex Robichaud who put up 17 points. Mor Menashe had a double-double with 15 points and 10 rebounds and Bacarius Dinkins had 10 points, 8 rebounds. 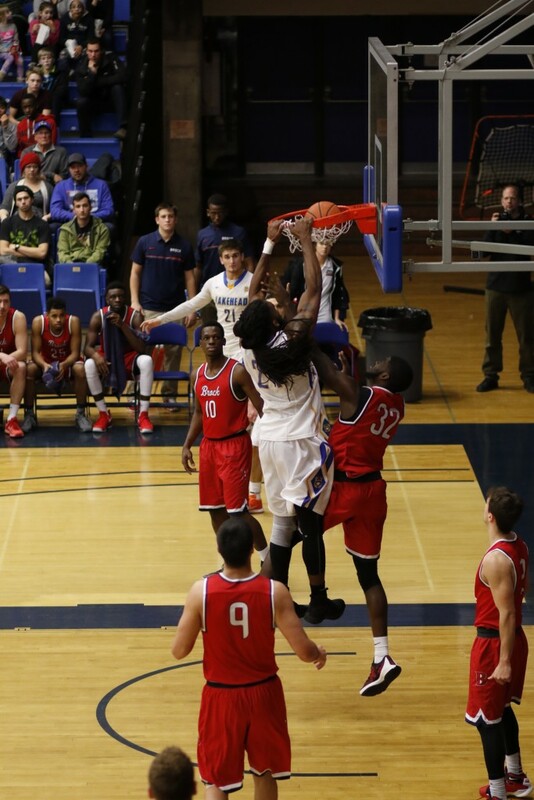 The ‘Wolves will battle the Badgers once again tomorrow at 8:00pm in the Thunderdome.